Five Seconds create and produce highly impactful and clickable content to a maximum length of five seconds. We make five seconds content for TV commercials, TV programme sponsorship, pre-rolls, banners, digital outdoor screens and instore communication. All you need is five seconds, nothing more nothing less. If you’d like to know more give us a call or send a mail. Pioneer make professional quality headphones for creative professionals. They wanted to reach these people through media and communication tailor-made for this target audience. Exterion Media is one of the world’s largest media companies. They were looking for a partner to create a visual campaign that could be translated to internal and external communication for the company itself. Five Seconds created a highly impactful 5 seconds campaign by creating characters out of Exterion Media's three logo elements. Guy Grimmelt from Exterion Media said “What’s great about this idea is that it is endless. We can make hundreds of ideas in this format”. Digital screens conceived and produced for Sweden, France and the UK. The message: There are a lot of great jobs on the Monster site. TUSH Skivvies is creating a new breed of underwear for the US, Canada and China. Their mission: to be the innovators and visionaries of under apparel. In China, they dared to go where no one had been before. Creating a range of fashionable men’s pants with a built-in condom pocket. This innovative company has also chosen for a new breed of advertising: three five seconds gif loop animations with cheeky, slight risqué content! Arla is a Danish global dairy company. They successfully launched their brand in the Netherlands with a range of natural yoghurts with fresh ingredients. Their European advertising campaign consisted of three 40 second TV commercials supported by locally made 5 second spots focusing on the natural, fresh ingredients. The average attention span for the notoriously ill-focused goldfish is nine seconds, but according to a study from Microsoft, people now generally lose concentration after eight seconds, highlighting the affects of an increasingly digitalized lifestyle on the brain. 2. 80 years of experience. We know what we’re doing. 3. We offer speed. A creative idea can be realized within 48 hours. An edit within 24 hours. 4. We have a global network of Five Seconds creatives to make content worldwide. Anywhere. Any time zone. 5. We save budgets because we specialize. As well as being efficient we have a pragmatic approach to content solutions. HAVE YOU GOT FIVE SECONDS? Who is watching the full 60” commercials before the YouTube movie starts? Who is patiently waiting for the three commercials to finish before flipping through the next Facebook post from one of their friends? And seriously, who is watching the TV commercial break!? Today people focus for several seconds on a message before they WhatsApp, swipe, surf, Snapchat, Vine, Instagram, glance on Facebook or WhatsApp again. If you don’t get them in 5 seconds, they have moved on and the message is lost. Gillette employs a worldwide strategy, using local heroes to promote their brand. In this case for the Netherlands: speed skater, Sven Kramer. Sven has won seven World Championships (a world record). The original commercial was 40 seconds. This cut-down was used as a break-bumper and pre-roll on YouTube. Amsterdam Airport Schiphol sponsored the All You Need Is Love Christmas Special, one of the most popular programs on Dutch television. The idea was that people go to the 'Schiphol Wave' website and use their webcam to wave goodbye to friends and family going away for Christmas. 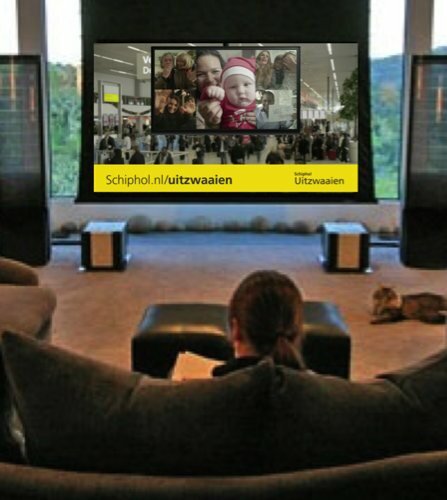 The people leaving would see these films on digital screens at Schiphol around the time of departure. In the days following the broadcast there were more than 100,000 people waving on the screens at Amsterdam Airport Schiphol. The online campaign for Oreo (extensive use of five second content) is seen as the benchmark for digital platforms and campaigns. The short films brought new exposure to millions of users and created just as many new fans. 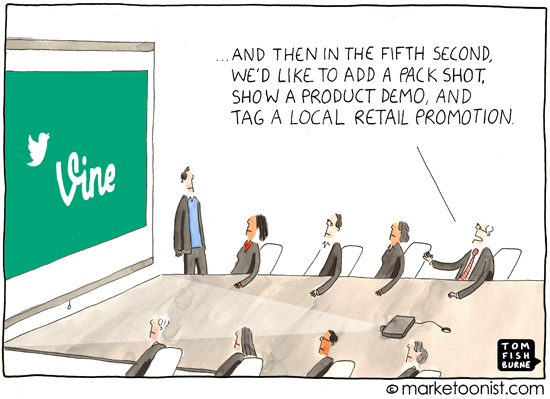 What Five Seconds can make for its clients goes far beyond online. Digital screens are replacing traditional outdoor media. At airports, train stations, in trams and at bus shelters. The content can’t be longer than five seconds, because the consumer is on the move. Within five seconds an advertiser can touch emotions, create branding and even share a smart idea. Big brands like Nike, McDonald’s and Coca-Cola understand the value of short digital content. 100 million unique visitors every month. Even The White House posts high resolution versions of their broadcasts on Vimeo. And Vimeo recently introduced a new challenge: ‘The Five Second Film School’. Traditional TV viewing among 18-24 year olds in 2014 was down by 19% year-on-year (Nielsen). The TV programme they watched last year on TV, they probably streamed it this year. This is a serious problem for brands advertising on TV. A visual joke is rarely longer than five seconds. There are numerous platforms and sites filled with the latest GIF films. It is the most commonly used format by advertisers for animated banners and buttons. Browser friendly, small file size and therefore ideal for short animations and advertisements. A still logo or an animated logo? You decide.